Joe, VJ, Trace, Jules and Niko want to help you thrive in your vocal journey. Listen to each member share their tips and tricks on how they prep as individuals and then ultimately come together as The Filharmonic. The popularity for the world of a cappella is at an all-time high. With National TV shows like NBC’s The Sing Off and movie’s like Pitch Perfect, it's become more mainstream than ever. New groups are being formed every single day so your next audition or competition is right around the corner! In the vocal lab, you will learn how to market your group and yourself on platforms like Youtube. And if you don’t have a group, you will learn how to start one. 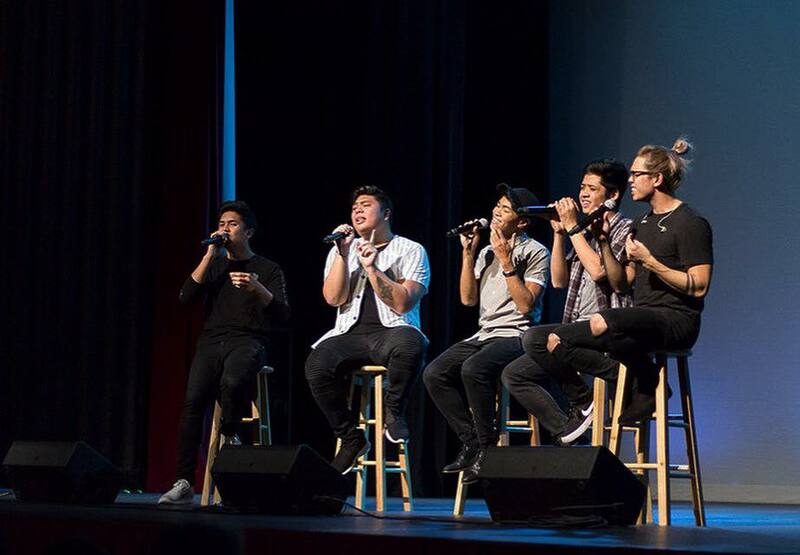 You will even be able to network and collaborate with The Filharmonic, as well as other a cappella leaders, and receive specially selected sheet music arranged by the group. It’s time to learn the techniques of the pros and become the best performer you can be!